I would definitely consider myself a football fan (with the Redskins being my team of choice), but there was nothing about this Super Bowl (or Snoozer Bowl as I was referring to it as) that got me excited for Sunday. But like most other Americans, I found myself among friends indulging in beer and greasy food to watch the biggest game (and commercials) of the year. I decided I would root for San Francisco since Baltimore has always rubbed me the wrong way (no offense to all my friends who are Ravens fans). I really have no logical reason as to why I dislike Baltimore, but I just felt that for this game I would be a 49ers fan! Fast forward a few hours and I realized I could not have been more wrong about this being a Snoozer Bowl! After the crazy power outage, the game turned around and became a real nail biter! Even with just 4 seconds left it was anyone's game, but alas, the Ravens came out Super Bowl Champions. I hope everyone had a good weekend and enjoyed the Super Bowl no matter your reason for watching (commercials, Beyoncé or to actually watch the game). Of course this wouldn't be a Super Bowl post if I didn't leave you with a few of my favorite memories from the night. I can't get enough of this commercial. I think it was my favorite! Stole this from my friend @itsmikelara! What was your favorite memory from the night?! 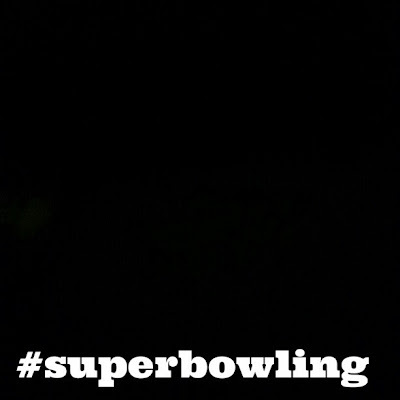 Was it the power outage, Beyoncé's performance, or an awesome commercial?! Please share! Linking up with Molly @ still being Molly for YOLO Mondays!